Newcomer but no stranger to the Game Lil Yachty took the time from his busy recording schedule, to respond to critics in Hip Hop who say the new school rapper is ruining Rap music. Lil Yachty is over his critics. Over the past few months, the Atlanta rapper’s views on hip-hop’s golden age sparked debates with little resolution between the youth and hip-hop’s older enthusiasts. Speaking with Bossip at the BET Hip Hop Awards (Sept. 17), an aloof Yachty gave a few words on his haters. “N***as don’t know how to accept change,” he said. “They old and washed up. I said it.” Since the release of the rapper’s breakout single “1 Night,” some lovers of hip-hop have turned their backs on him and other new kids like 21 Savage, Lil Uzi Vert and Playboi Carti. 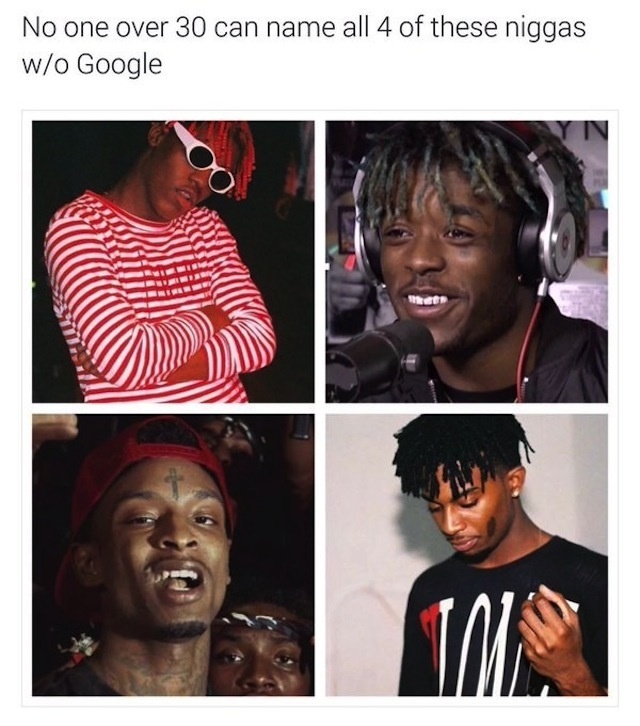 The rappers were also mocked in memes, challenge their relevance. I can understand his feelings being hurt, but to have one hit single that I can think of and to call someone else old and washed up is jumping the gun. I’m going to need him to start making bigger waves in comparison to the MC’s he’s referring to before he makes that big and bold a statement. I have yet to hear him on mainstream radio here in the South.